Nutty farro is combined with sweet caramelized grapefruit and crispy fried quinoa, topped with toasted pistachios and candied ginger for a unique and pleasing combination of colors, flavors and textures. Combine Hellmann’s® Classics Salad Dressing Balsamic and the bird’s eye chili pepper. 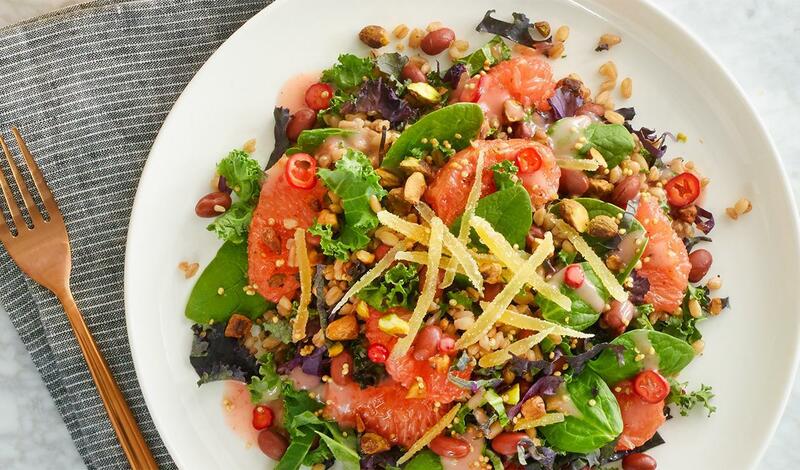 Combine the mixed salad dressing with the farro, red kidney beans, spinach and kale, and top with remaining ingredients.